The great thing about cooking is that the simplest foods, like a loaf of bread, can seem whimsical when made in a different way. I was looking through my old vacation pictures and stumbled upon these animal shaped sourdough loaves from Boudin Sourdough in San Fransisco, California. 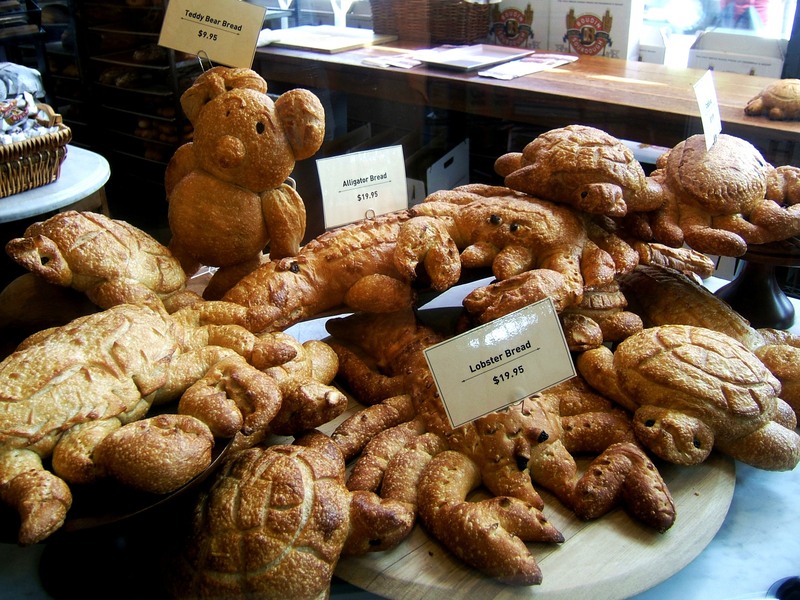 I went to that city with my parents a few years ago and remember thinking that the crab shaped bread was such an awesome idea! We had lunch at Boudin and the bread bowl soup was great. I love bread!